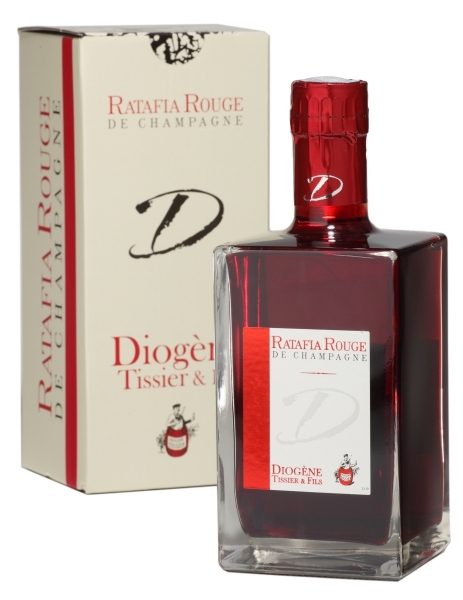 Besides bubbles, champagne makers also create different by-products, such as: still or non-sparkling wine, Ratafia, Marc de Champagne and Fine de la Marne. Make no mistake! In the Champagne region they also make still wines (wines that are not effervescent) , called ‘Coteaux Champenois’. The Coteaux Champenois is an AOC (Appellation d'Origine Contrôlée) from the Champagne region. It applies to the same area the famous bubbly is made, but it only refers to the still wines. These wines can be red, white and rosé wines. The Bouzy rouge is probably the most famous red wine in the Champagne region. This red wine is made from Pinot Noir from the grand cru vineyards of Bouzy. Champagne makers who also create a Bouzy rouge, pay the biggest attention to its quality. Nevertheless, as the acidity in this red wine is significantly present, it is not any wine lover’s favourite. 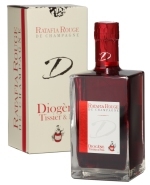 Moreover, the price for a bottle of Bouzy rouge dangles around 20 euros. And that’s a bit pricey! The white Coteaux Champenois is made from Chardonnay or a combination of the three known varieties in Champagne: Chardonnay, Pinot Noir and Pinot Meunier. These fine white Coteaux Champenois can be enjoyed as an aperitif and are perfect wines to pair with fish and shellfish dishes. The acid taste remains a prominent feature. A glass of rosé is associated with Summer, the sun, the South, ... and not with the Champagne region. Yet, the Champagne region produces one of the most famous rosés of France, with its own appellation: AOC Rosé de Riceys. Do not compare a Rosé de Riceys with any other rosé. Because the specific primary, fruity and floral aromas of most "summer" rosés, cannot be found it in the Rosé de Riceys. In this exceptional rosé of Pinot Noir you will discover tertiary aromas, caused by the aging of the wine: tobacco, licorice, truffle and humus. Even the colour of the Rosé de Riceys is anything but summer: an orange, rusty, onion-like colour. This is why this rosé is often associated with Autumn, rather than with Summer! And also, while most rosés are best enjoyed young, the Rosé de Riceys must have some years on the clock when it is uncorked. A rosé wine can survive so many years in the bottle? Definitely, it’s the typical characteristic of this wine! We tasted a brilliant Rosé de Riceys from the 70s at Champagne Jacques de France in Les Riceys-Bas. The aromas of Rosé de Riceys make us think of old Lambic and Gueuze beers. Beer lovers (and especially Gueuze lovers) should definitely try the Rosé de Riceys. The Rosé de Riceys was Louis XIV’s favourite wine. These rosé wines were served generously at the Court of Versailles during his reign. Louis XIV stopped drinking the wines on the advice of his personal physician, who found that the acidity of the wine was bad for his health. The Sun King obeyed and died soon afterwards, at the age of 77. Had he better not listen to his doctor? Marc and Vieux Marc de Champagne is an Eau de Vie made by distilling the pressed grapes into an alcohol of 40%. It’s usually drunk as a “nightcap” after the meal or used in the kitchen to flambé or to make a ‘trou champenois’ (sorbet soaked in Marc). You can also find it as a praline filling or in chocolate truffles. Fine de la Marne is obtained by the distillation of white wine from the Champagne region. The taste is more delicate than Marc de Champagne. Marc de Champagne and Fine de la Marne are eau de vies that champagne makers can’t produce themselves. In almost all cases they will purchase it in a distillery and provide it with their own label. So, always ask for the origin of the bottle you want to buy! Marc de Champagne can be compared to the Italian grappa and Fine de la Marne is created the same way as Cognac! The most famous distillery in the Champagne is Distillerie Jean Goyard, where many champagne producers purchase their Marc, Fine and even their Ratafia. The products of Distillerie Jean Goyard are very recognizable thanks to the typical elongated bottle with the tight, straight neckline. So, when the bottle of Ratafia you bought at your favourite wine grower has this form, you know that it’s is not his work! Even though it bears his label.